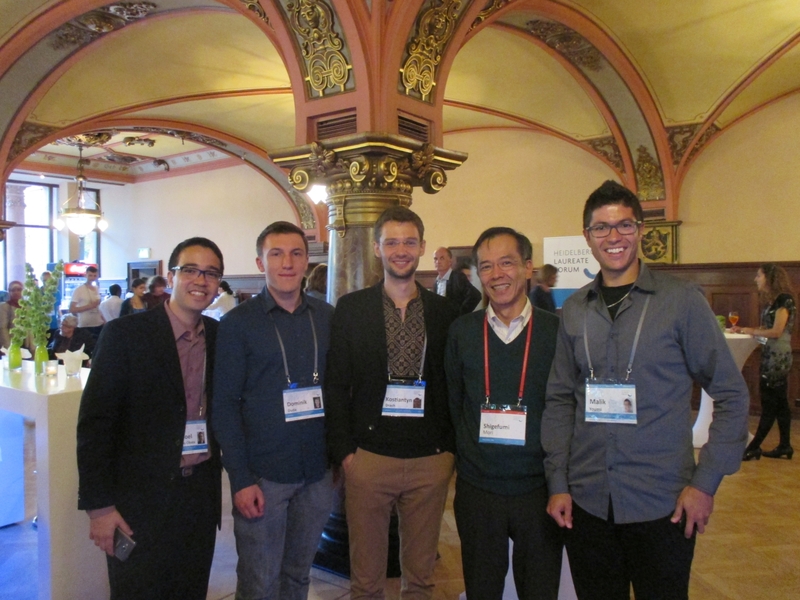 From the 23rd to the 28th of August 2015, German city Heidelberg hosted the annual Heidelberg Laureate Forum - a meeting of young researchers from around the world with the laureates of the most prestigious awards in mathematics and computer science. On August, 23-28, 2015 took place the 3rd Heidelberg Laureate Forum - a wonderful meeting of prominent scientists - the winners of the highest prizes in mathematics and computer science (the Fields Medal, the Abel Prize, the Turing Award) - with 200 carefully selected students and young scientists - 100 from each discipline. This year's forum was attended by 26 winners, the people who have made outstanding contributions to science and technology. The idea of the event was taken from the similar meeting of the Nobel Prize winners with the young generation scientists in Lindau. The senior lecturer of our department, Kostiantyn Drach, was among the hundred invited mathematicians (see poster). The program of the forum included lectures of the laureates (see video at the link), workshops, poster sessions, and super-interesting talks with the prominent scientists and fellow peers during various informal events. Meetings and communication with unique and legendary people made this event a truly memorable and inspiring. The next forum will take place from the 18th to 23rd of September, 2016. Selection process will start on November, 1st. Undergraduate students, phd students, and post-docs are welcome to apply. Don't miss a chance to see the forum with your own eyes! 6 July 2015Happy Summer Holidays! 7 April 2015Congratulations with thesis defense! 26 November 2015CONGRATULATIONS to ALEXANDER L. YAMPOLSKY!